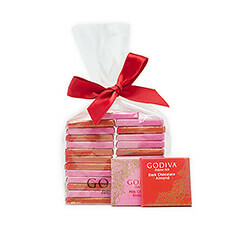 Celebrate love with this beautiful chocolate tower. 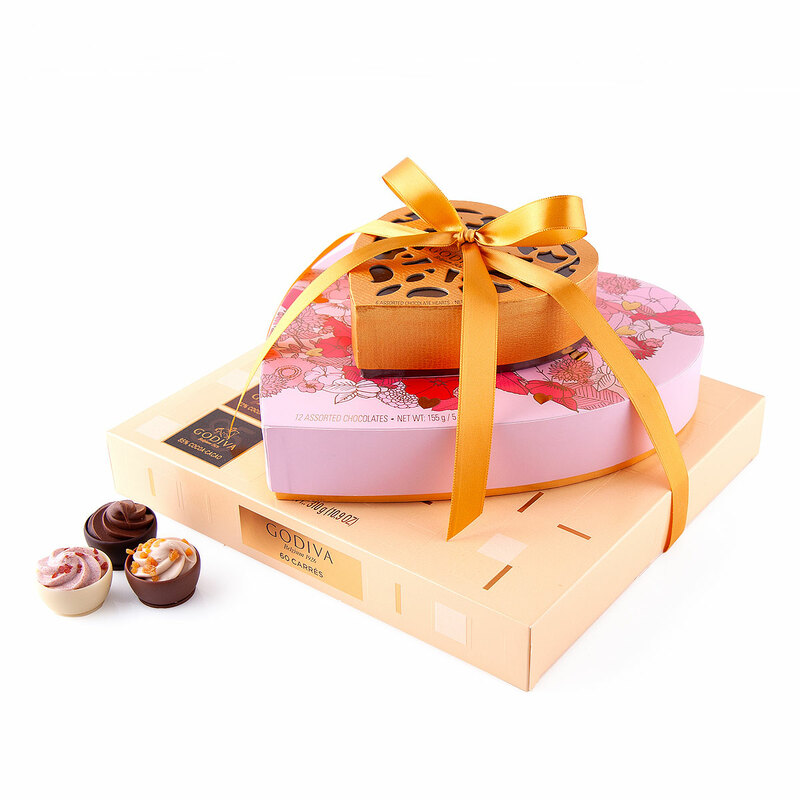 Three gifts in one, bound together with a luxurious satin ribbon. 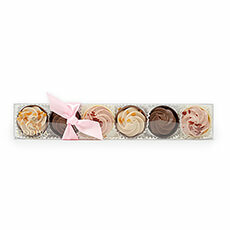 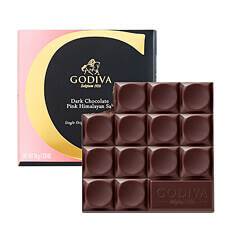 Treat your sweetheart, yourself, or other lovebirds to a heavenly assortment of Godiva chocolate creations. 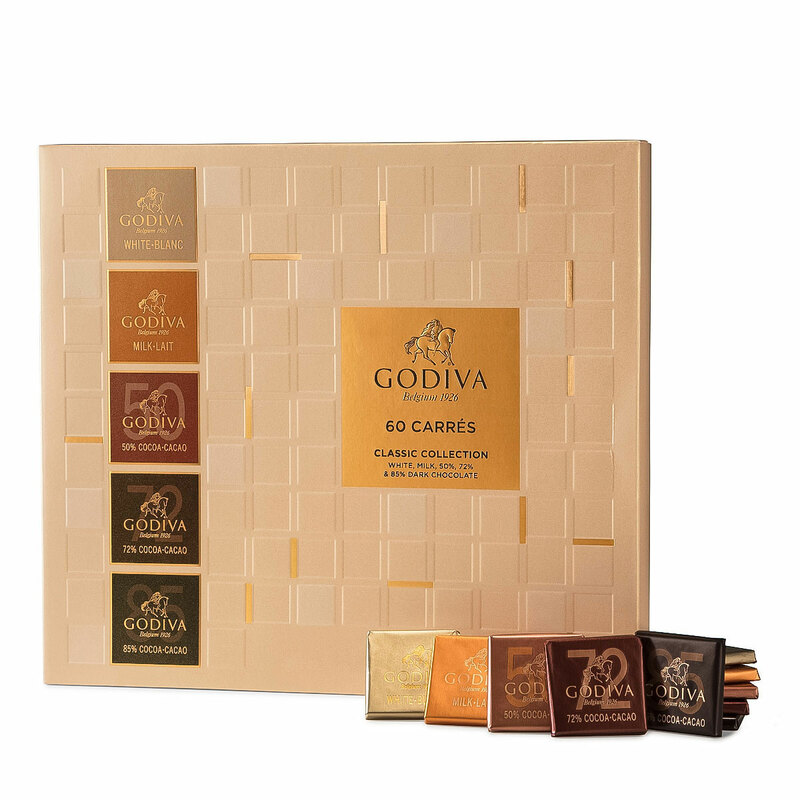 At the bottom: crunchy milk, dark, and white chocolate carrés. 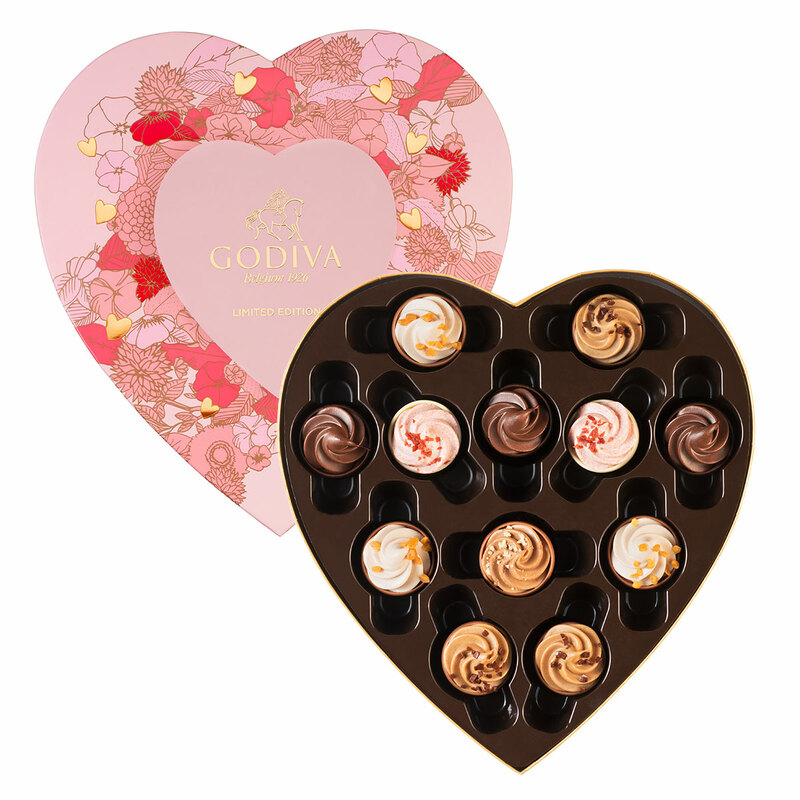 Next, the limited-edition Valentine Heart with 12 seductive cupcake pralines with flavors such as hazelnut praliné, chocolate meringue, strawberry, speculoos, and coffee with caramel. 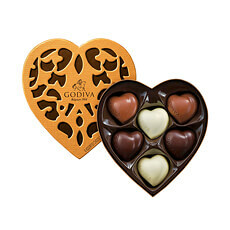 The icing on the cake is the Cœur Iconique: 14 smooth, heart-shaped pralines made of white, dark and milk chocolate.